Blame the government, not Wall Street for the next financial crisis. That's what billionaire private equity boss Steve Schwarzman argues in an op-ed he authored in The Wall Street Journal that was posted Tuesday night. 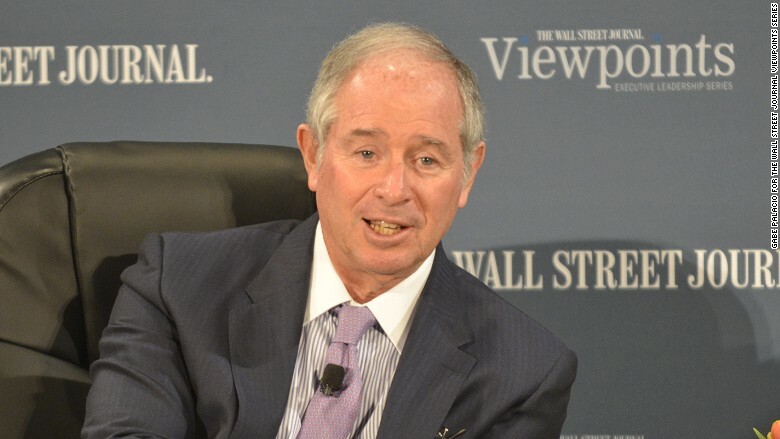 Schwarzman is the latest financial CEO to warn that new laws put in place after the Great Recession are likely to cause a liquidity crisis that could tank the economy again. "A liquidity drought can exacerbate, or even trigger, the next financial crisis. Sellers will offer securities, but there will be no buyers," wrote Schwarzman, founder of Blackstone (BX), one of the world's largest private equity firms. Problematic regulation: He acknowledged that the Dodd-Frank law has made the banking system stronger by requiring banks to hold more liquid assets on hand (translation: cash or assets that can be easily sold in times of duress). However, there are unintended consequences. Since banks are holding on to more assets, there simply aren't as many buyers and sellers of stocks, bonds and other investments. He cites a Deutsche Bank (DB) report that said corporate bond inventories are down 90% since 2001. "Taken together, these regulatory changes may well fuel the next financial crisis as well as slow U.S. economic growth," he warns. Investors got a small preview in October of what could be coming when the bond market got spooked and experienced a massive swing. 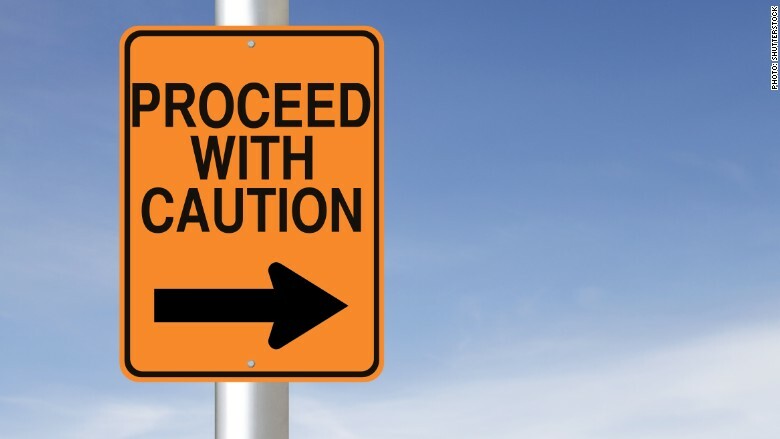 More red flags: Economist Nouriel Roubini, who correctly predicted the 2008 financial crisis, recently made similar comments. Roubini warned of the existence of a "liquidity time bomb" that he fears will eventually "trigger a bust and a collapse" in the market. While Roubini believes increased regulation is a factor, he also says the rise of lightening-fast computer trading contributes to the problem and that the Federal Reserve's unprecedented efforts to stimulate economic growth have also likely created asset bubbles. JPMorgan (JPM) CEO Jamie Dimon has gone as far as to say that Wall Street is "under assault" now from regulators. The Dodd-Frank regulations have made it harder for banks to make as much money as they did in the past, especially from trading. There's an ongoing debate in Washington about what's a good amount of regulation for banks. Some politicians -- most notably Democratic Senator Elizabeth Warren -- have called for big banks like JPMorgan Chase to break up so they won't be as big of a threat to financial markets if something goes wrong. Schwarzman argues that small and medium-sized banks have been hurt even more by Dodd-Frank and that no bank -- big or small -- will want to lend or trade much in the next big crisis.